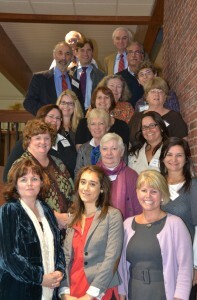 In 2008, a group of Massachusetts oral health advocates brought together over 200 oral health professionals, representatives from community programs, legislators, state officials and policy makers at a leadership summit in Sturbridge, Massachusetts to discuss opportunities, concerns and the future of oral health. This collaboration led to the development of the Better Oral Health for Massachusetts Coalition (BOHMAC). Following the summit, BOHMAC established work groups involving more than 100 individuals to create a plan that addresses key oral health issues in the areas of assessment & surveillance, policy and public awareness, prevention, and workforce development. The review developed specific, measureable, and actionable goals which were then presented at community roundtables and coalition wide meetings to a statewide audience for discussion. The work of developing an oral health plan required months of research, goal-setting, built on the knowledge, passion and spirit of its stakeholders– from oral health experts to members of the general public. With a strong sense of purpose, BOHMAC released The Oral Health Plan for Massachusetts in 2010. In 2011, BOHMAC became incorporated as a non-profit organization and in 2012, BOHMAC hired its first Executive Director. The passion, commitment and hard work that led BOHMAC through four years of plan creation, infrastructure building, partnership development and community engagement is realized in its support of important oral health initiatives, oral health community outreach and policy work.